Hawkins Companies envisions an indoor food hall or public market for its newly acquired Capitol Terrace building. 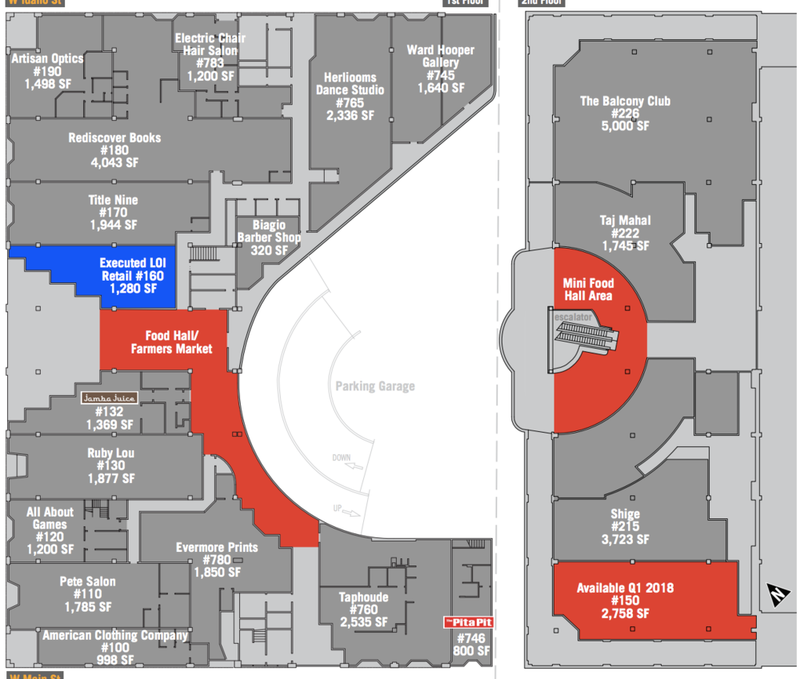 The market could take up current "common area" space on the first and second floors of the aging 1980s building. Sketches posted in a sales flyer envision areas for farmers or small merchants to set up in the covered area around the escalators. A new bar is showing facing 8th Street near the current balcony. The building is set for a remodel this spring. Elsewhere in the building, the former nail salon space has a sign posted noting a new restaurant is coming soon - while the nearby Jamba Juice has closed, and moved to Boise Towne Square.